I’ve been practicing what I preach and taking a little break; less social media and computer time and slower pace, which my body likes. How about you? What pace does your body like? The familiar cycle we are trying to free ourselves from. What quickly starts to happen is that the sensations build up and we find ourselves wanting to go back to something that feels familiar to take the edge off the overwhelm – maybe I’ll work through lunch becomes skipping lunch most days and then feeling a little, or lot, out control with eating at night. So, I have a free quick worksheet for you today. Just download a free copy and complete it right on your computer or print it out. Simple as that; we need more simple right now! ​The goal of this sheet is to check in and do inquiry about how you feel and get clear about what you want to say yes or no to and what self-care is non-negotiable. You might decide that you want to go to events on the weekend, but you won’t stay past 2 hours because then you won’t have time for that walk with the dog in the morning or grounding and journaling at night. 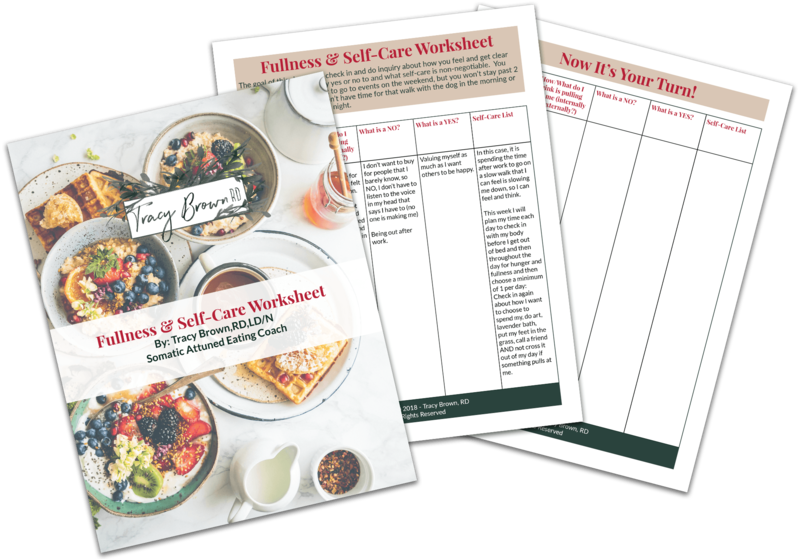 Subscribe for a Free Fullness & Self-Care Worksheet! By subscribing, you'll receive a fillable PDF worksheet that you can work on right from your computer or print out for your conenience! Please take time do this exercise with at least one instance that you feel the buzz of adrenaline or shut-down about. Notice, I don’t use the word “stress” because I want you do deeper with exploring. I deeply appreciate you choosing to have me in your home (inbox). Our lives are full so I do hope to bring real, valuable “food for thought” to excavating food and body worries for good! 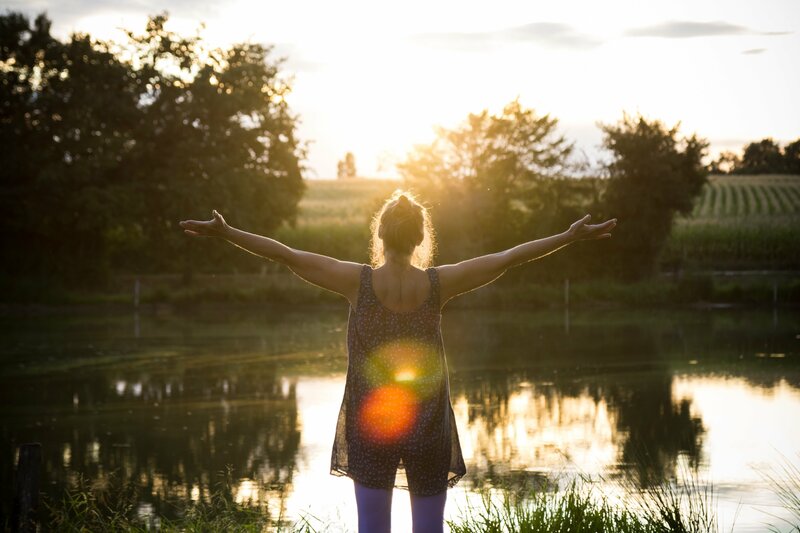 If you desire more clarity or deepening of healing your relationship with food and weight or regulating your nervous system to get out of the fight or flight and crash cycle, email me at tracybrownrd@gmail.com to make 2019 the year you said “Enough” to living the way we are taught and YES! To more choicefullness and freedom. Be keeping an eye on your emails, especially towards the end of this month. I’ve got a birthday surprise coming from me to you! 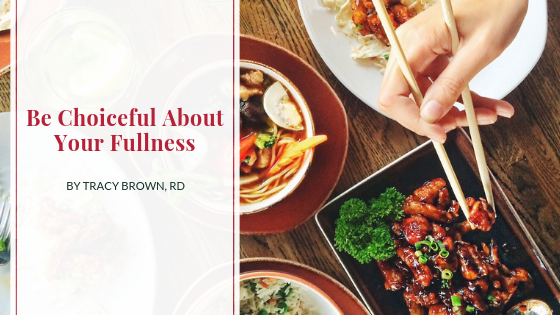 PreviousWhat About Pushing and Letting OUT versus down with your Food?